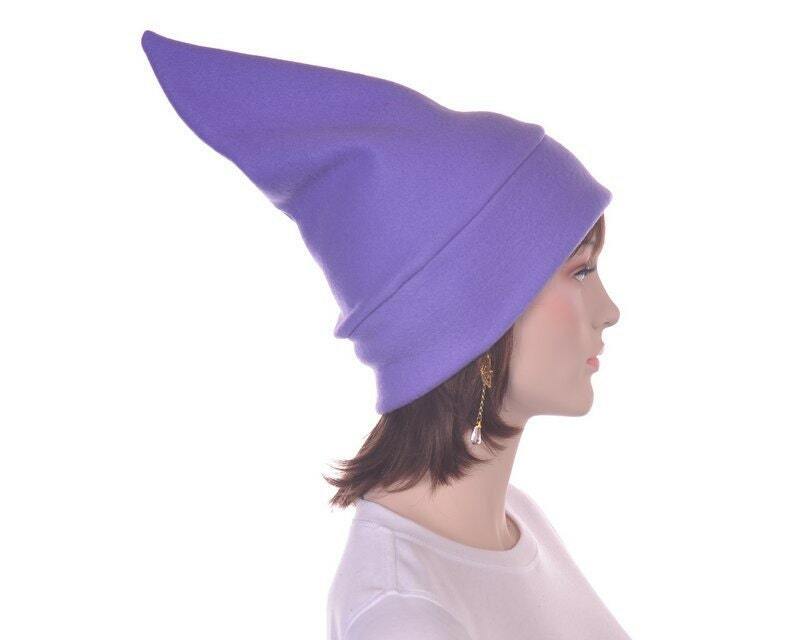 Purple standing dwarf, gnome or elf hat. 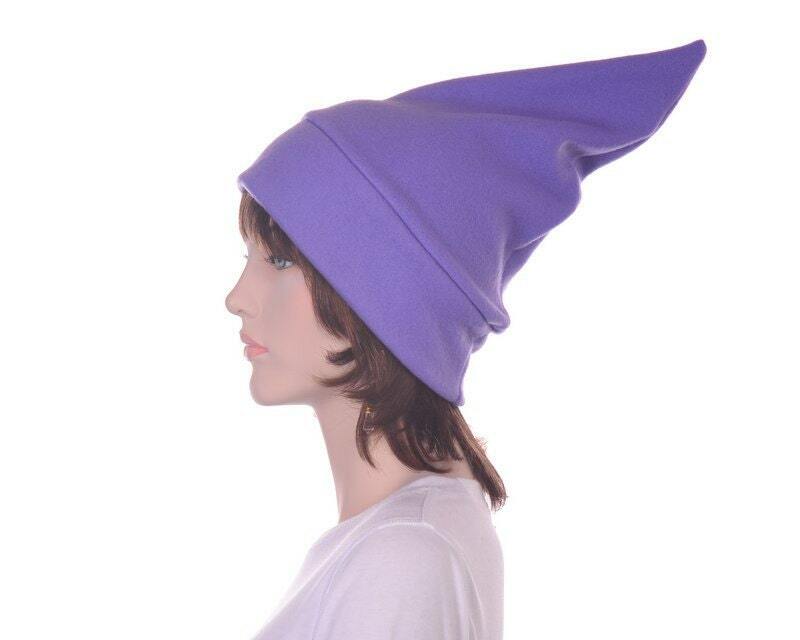 Made from soft and stretchy fleece. Can be worn standing out or folded over as shown in the second photo. Made to fit adult men and women. 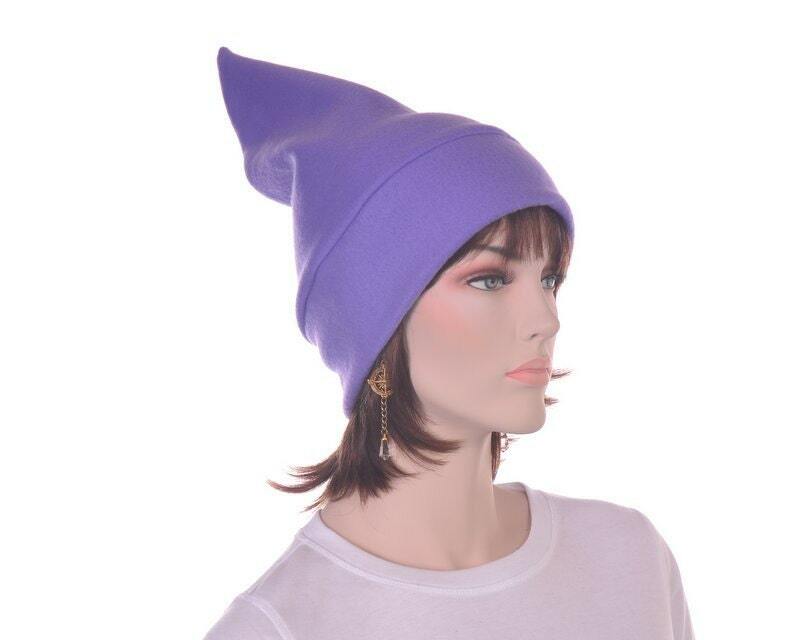 Can be used as part of a costume or as everyday warm winter wear, made to last. Fits heads from 21.5 inches - 24 inches. 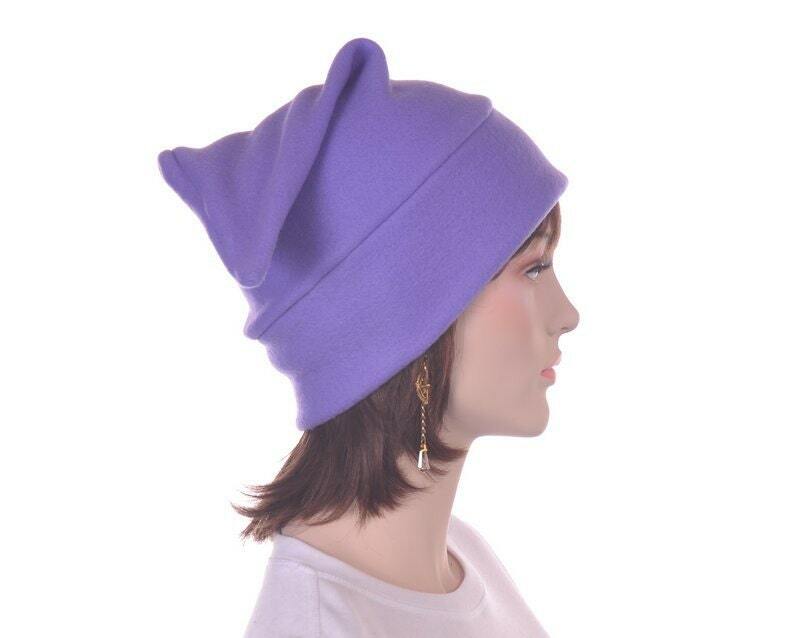 I can make this hat in practically any color, if you would like a different color, please convo me.